As expected, Joe Root has been named as Alastair Cook’s successor to the England Test captaincy after the latter decided to step down following the series loss in India to focus on playing on as a batsman for his country. The Yorkshireman’s ascension to the top job in English cricket completes the quartet of the world’s best batsmen now leading their national sides. Steve Smith, Virat Kohli and Kane Williamson all have a head start on Root as captains but fans can expect the rivalry and comparisons of the fantastic four to grow from here and reach new heights. 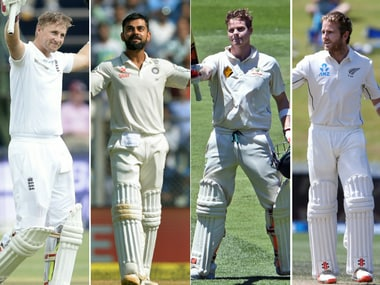 Smith, Kohli, Root and Williamson, in that order, hold the top four spots in the ICC’s rankings for Test batsman and have been seen as the leading batsman in the world for some time having taken over the mantle from the likes of AB de Villiers, and before him Sachin Tendulkar, Brian Lara, Ricky Ponting and Jacques Kallis. The four leading lights have been compared since they started playing, and for fans at least, there is a rivalry to see who amongst them is the best as a batsman. That scrutiny will now increase given that they are all leading their national teams with their varied and contrasting styles, personalities and methods. 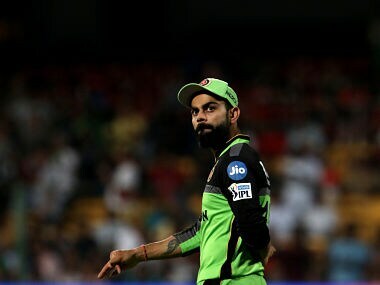 There are many similarities between the four men in terms of age and experience with Kohli being the eldest at 28 and having played 54 Test matches. Smith is 27 and has played 50 Tests, Williamson and Root are both 26 and have played 58 and 53 Tests respectively. They all have fantastic records as well with Smith leading the way with an astonishing average of 60.15 and 17 hundreds. The other three also average above 50 in Test cricket — Root averages 52.8 with 11 hundreds, Kohli 51.75 with 16 hundreds and Williamson averages 50.07 with 15 hundreds. These numbers are astounding and have led to many debates about who is the best player based on where and how they scored their runs and against whom. While the four men have many similarities in terms of their experience, age and Test records, the way they have built their amazing careers to date are different and reflect their individuality and varied personalities. Smith was first picked in the Test side in 2010 as a leg-spinning all-rounder who batted at eight on Test debut. 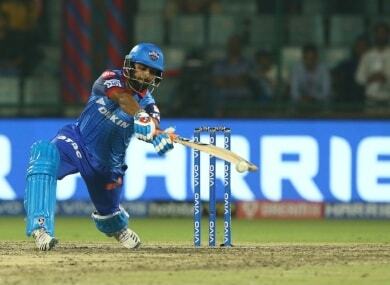 From there he was dropped and then returned to the side a more complete batsman who rarely bowled. With his own unique technique and unorthodox stroke play, Smith rose to the number one ranking for Test batsman when he took over from Michael Clarke as Australian Test captain in 2015. Kohli quickly earned a reputation as a brash young batting talent in India after leading the Under-19 side to World Cup glory in 2008. From there, Kohli has matured into the leader of the Test side, leading them to a streak of 19 unbeaten matches, without sacrificing any of the aggression that makes him the dominant batsman that he is. With a hunger for runs and a desire to always chase victory, Kohli has led India into a new attacking era with an even more aggressive mindset than former captain MS Dhoni. Williamson is arguably the most technically adept of the four, and a more quiet and unassuming character. When Williamson stepped up as New Zealand’s Test captain, he had big shoes to fill as the larger than life personality of Brendon McCullum had taken New Zealand cricket from the brink of implosion to a stronger, grittier and tougher Test side. While the influence of McCullum may remain, Williamson has quickly adapted to the role and made it his own rather than trying to be a copy of his predecessor. How Root will fare as a Test captain remains to be seen, but he will be hoping to emulate his contemporaries and lead England into a successful new era. Root has been England’s best Test batsman, and the opposition’s most prized wicket, since Kevin Pietersen was omitted from the side. Root’s ability to score runs all around the ground against pace and spin at a good rate has made him a very successful batsman across formats. Where Root will hope to improve as captain is his conversion rate of half centuries into really big, match winning scores for his team. Where Root is likely to succeed as captain is in the areas where his predecessor was perhaps weakest — tactics and aggression. Both Cook and Root have the respect and admiration of their teammates, but Root’s naturally attacking mentality — similar to that of Kohli, Smith and Williamson — and his apparent tactical nous should have England fans excited at the prospect of his leadership. 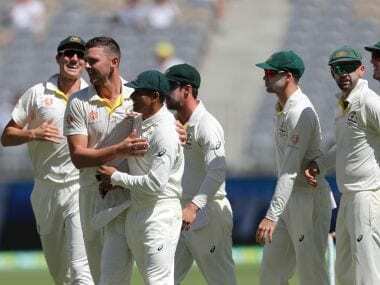 All cricket fans will be excited to see where the rivalry of these four young stars of the game goes from here, as it is slightly different to four of the stars of the previous era of batting greats. Before Smith, Kohli, Williamson and Root, there was Tendulkar, Lara, Ponting and Kallis, with no disrespect to Kumar Sangakarra and De Villiers. While the fab four of the previous generation will go down as some of the greatest batsmen and cricketers in history, status that the modern quartet are on the path to, they did not all lead their national sides with success. In fact, only Ponting had a captaincy record to write home about as the leader of a formidable Australian side that dominated the Test cricket landscape. Both Tendulkar and Lara had modest stints as captains of India and the West Indies, while Kallis never captained South Africa as the board felt they did not want to add any greater burden on the legendary all-rounder. There were many debates about who was the greatest batsman of the previous generation but there is no doubt Ponting was the most successful leader. If the batting stars of today can continue their good form and have successful reigns as captains, then the comparisons and arguments about their rivalry will continue among fans but it will be all cricket lovers and spectators who will be lucky to witness today’s stars become tomorrow’s legends.